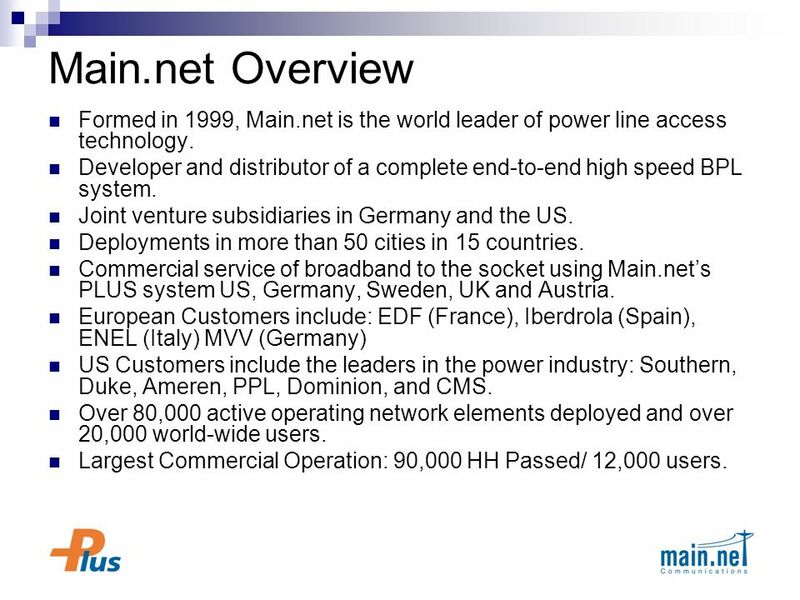 2 Main.net Overview Formed in 1999, Main.net is the world leader of power line access technology. 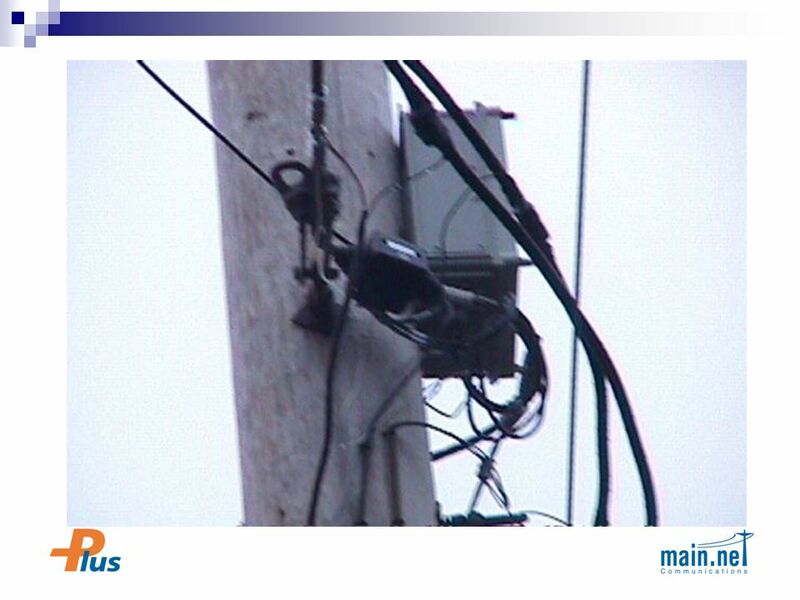 Developer and distributor of a complete end-to-end high speed BPL system. Joint venture subsidiaries in Germany and the US. Deployments in more than 50 cities in 15 countries. 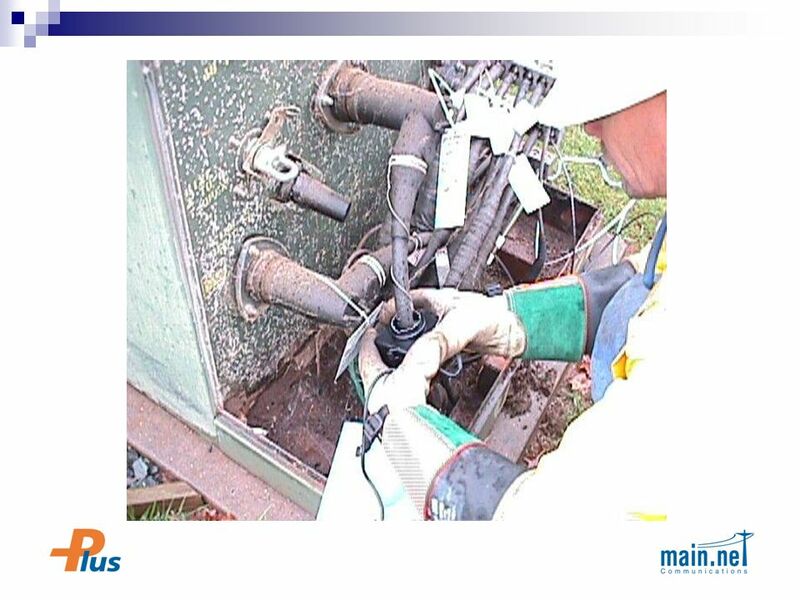 Commercial service of broadband to the socket using Main.nets PLUS system US, Germany, Sweden, UK and Austria. 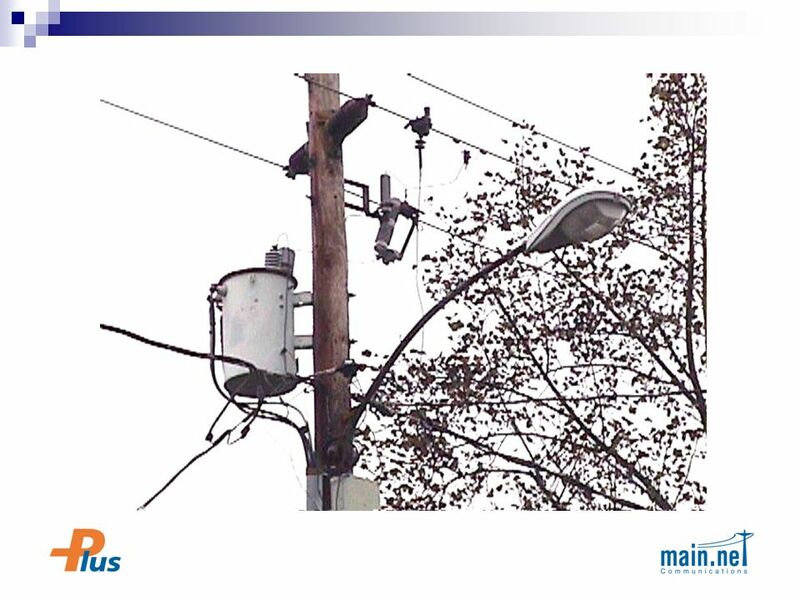 European Customers include: EDF (France), Iberdrola (Spain), ENEL (Italy) MVV (Germany) US Customers include the leaders in the power industry: Southern, Duke, Ameren, PPL, Dominion, and CMS. 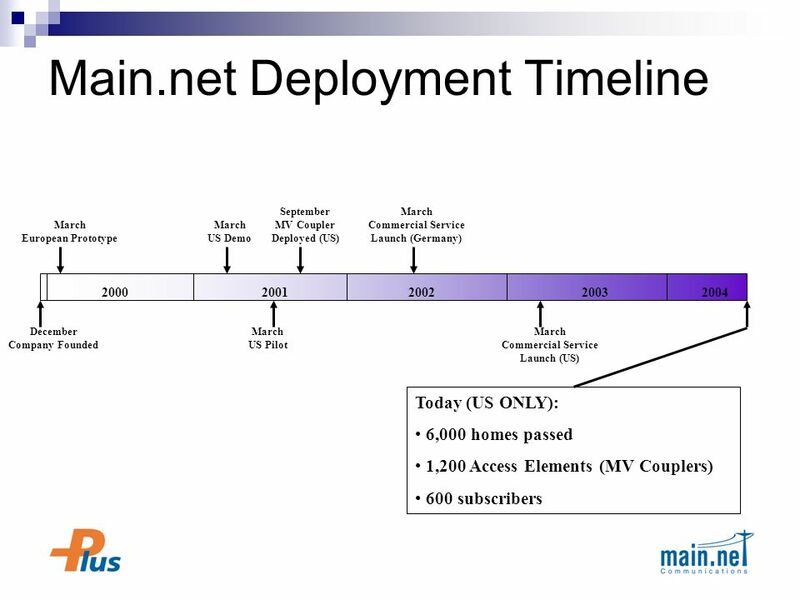 Over 80,000 active operating network elements deployed and over 20,000 world-wide users. Largest Commercial Operation: 90,000 HH Passed/ 12,000 users. 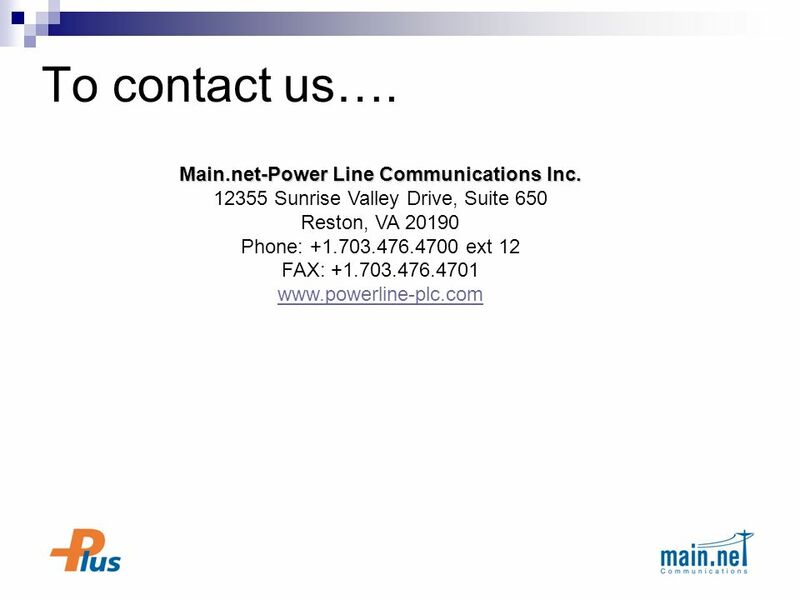 9 Main.net-Power Line Communications Inc. Main.net-Power Line Communications Inc. 12355 Sunrise Valley Drive, Suite 650 Reston, VA 20190 Phone: +1.703.476.4700 ext 12 FAX: +1.703.476.4701 www.powerline-plc.com To contact us…. 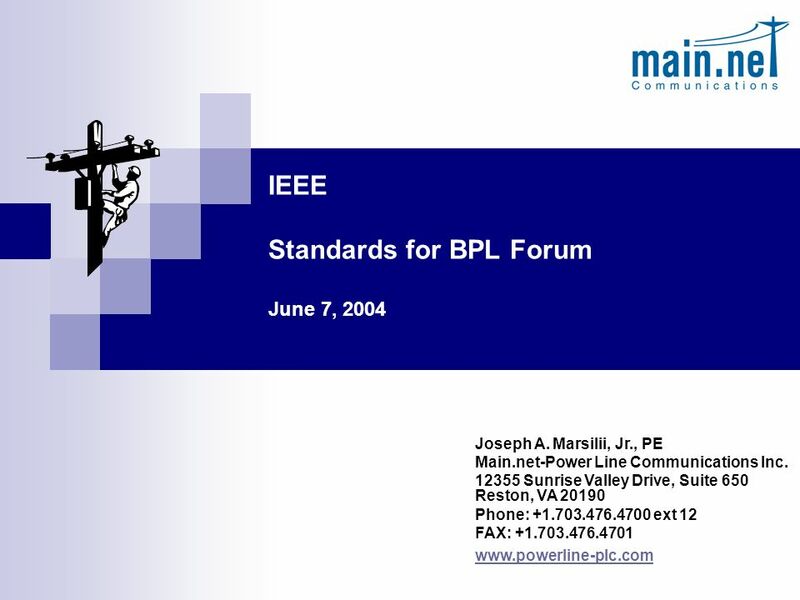 Download ppt "IEEE Standards for BPL Forum June 7, 2004 Joseph A. Marsilii, Jr., PE Main.net-Power Line Communications Inc. 12355 Sunrise Valley Drive, Suite 650 Reston,"
Copyright © 2012, Oracle and/or its affiliates. All rights reserved. Oracle Proprietary and Confidential. 1. 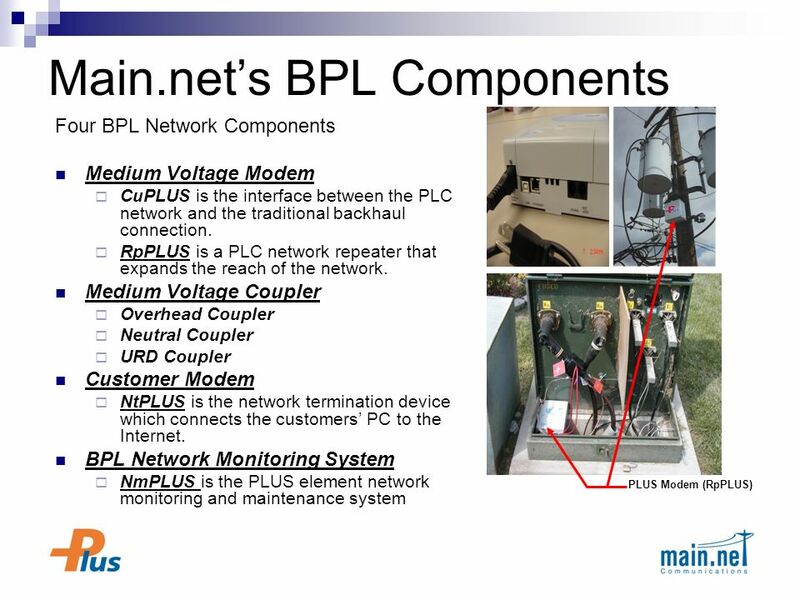 IEEE Standards for BPL June 7, Main.net PLC, Inc. CuPLUSmca OH Coupler Considerations Main.net Construction Standards Main.net PLC, Inc. Spec 0/Sheet. © 2007 Outsell, Inc. All rights reserved. Overview: KM and CI in Information Management Special Libraries Association Denver, Colorado June 6, 2007 Joanne. The following 10 questions test your knowledge of Internet-based client management in Configuration Manager Configuration Manager 2007 Internet-Based. The following 10 questions test your knowledge of desired configuration management in Configuration Manager Configuration Manager Desired Configuration. IT CONTRACT LAW FOR PROJECT MANAGERS Rachel Burnett, Solicitor BCS Vice President Forums January 2004. 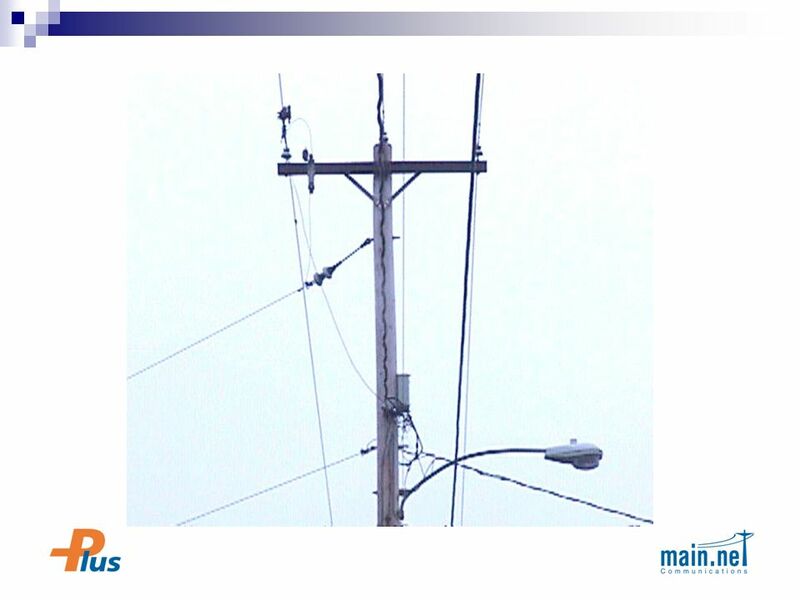 970 WEST VALLEY PARKWAY, SUITE 509 SAN DIEGO, CALIFORNIA PHONE: FAX: THIS PRESENTATION AND ANY DOCUMENTS. Reduce Cost & Complexity Partner logo here Presenters Name (16pt) Presenters Title (14pt) Company/ (14pt) Manage and Deploy Applications using Virtualization. 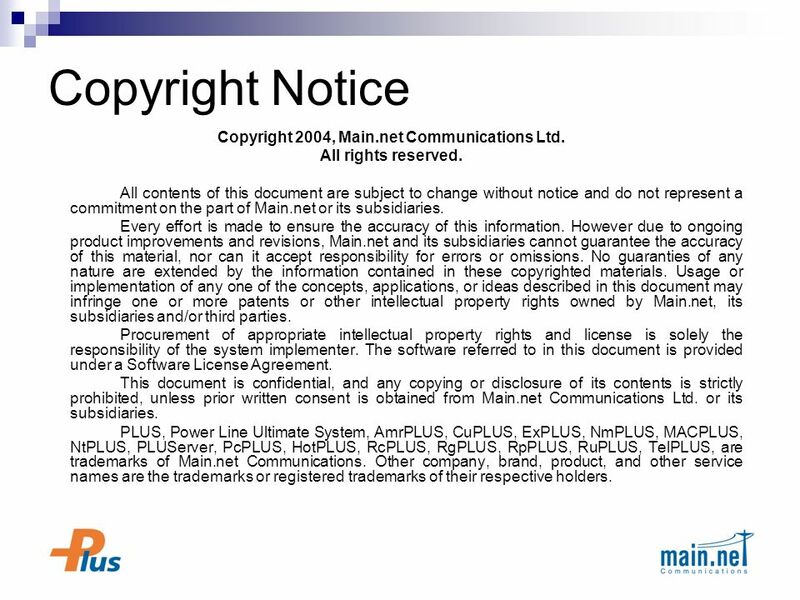 IPWireless Overview Thierry Maupile Fastnet Futures April 2, 2003. Open XML Developer Workshop DrawingML Basics. Open XML Developer Workshop Disclaimer The information contained in this slide deck represents the current. DIR-826L Wireless N600 Gigabit Cloud Router Sales Guide WRPD Jan 25 th, 2012 D-LINK HQ.